2018-2019 Season Tryouts dates announced!!!! Visit the Tryouts page for dates, time and location! -----------------> Seeking Student-Athletes - Pegasus teams have opportunities available for dedicated student-athletes. 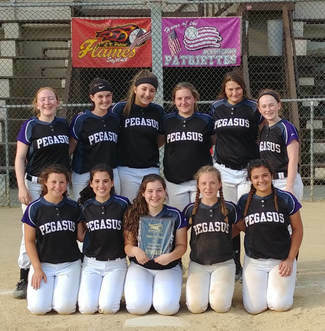 ----------------14U Black has immediate need for a pitcher!! Visit the Tryouts page for additional information. 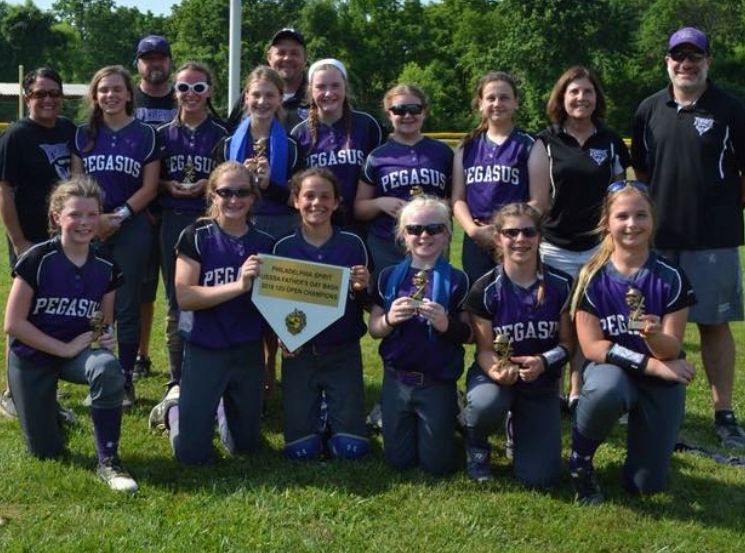 The 2018 Purple Haze fastpitch softball tournament is a USSSA sanctioned tournament. Participants include 12U teams and 14U teams. Each team will play three (3) pool play games on Saturday. Teams will be seeded for single elimination championship on Sunday. Please check in with tournament staff one (1) hour prior to your first game. Valid team insurance and 2018 Roster are required. ​The 2018 Purple Haze tournament information can be found on the USSSA web site. The College Showcase allows student-athletes to showcase their talent in both showcase and tournament format games. NOTE: Guest players allowed for Friday and Saturday play. On Sunday, strict USA Softball rules will be enforced. No guest players allowed on Sunday. On the weekend of Jun 30-July 1st in Mt. 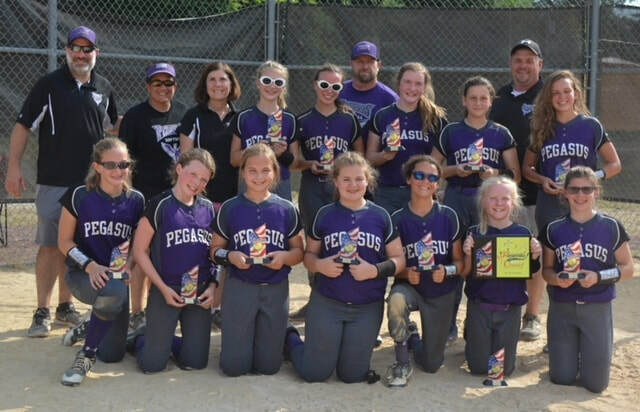 Laurel, NJ, Pegasus Purple 12u became 2018 USSSA Fireworks Classic Champions!! The game went into ITB and they pulled of a stunning victory. What a great way to head into Nationals! ​2018 Full Speed Summer Showdown!! 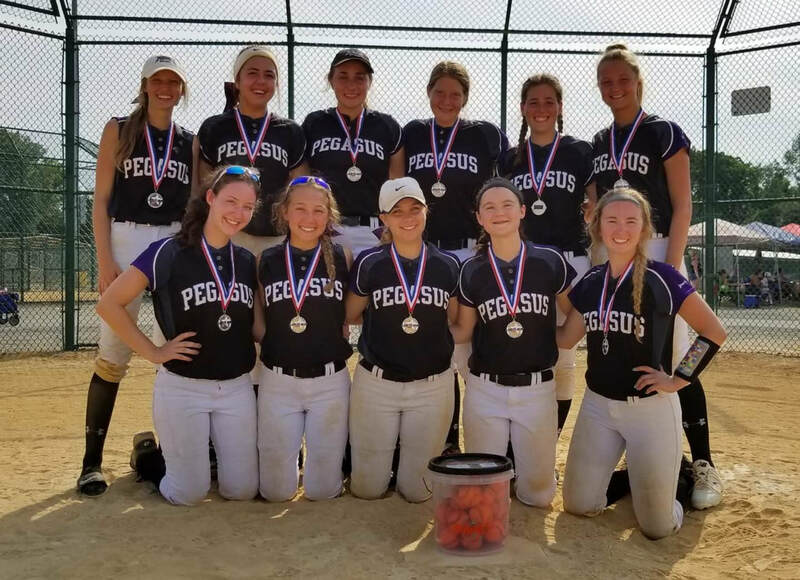 On the weekend of Jun 30-July 1st , Pegasus Purple 18u were finalist in 2018 Full Speed Summer Showdown 18u Open tournament in Westampton, NJ. Tough conditions in brutal heat- congrats ladies! 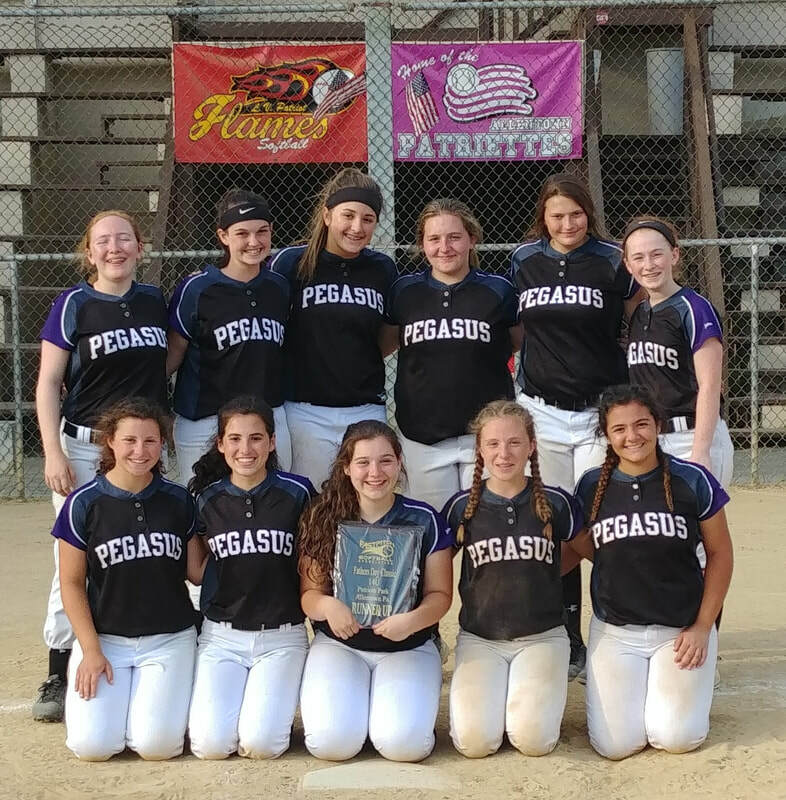 2018 USSSA Pride in the Diamond Champions!! 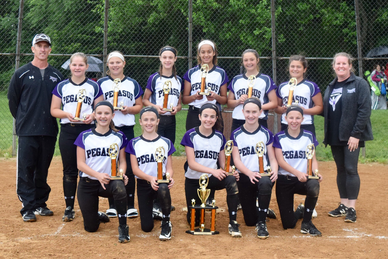 On the weekend of June 23th-24th 12U Purple went 6-0 in tournament play, outscoring our opponents 49-6. 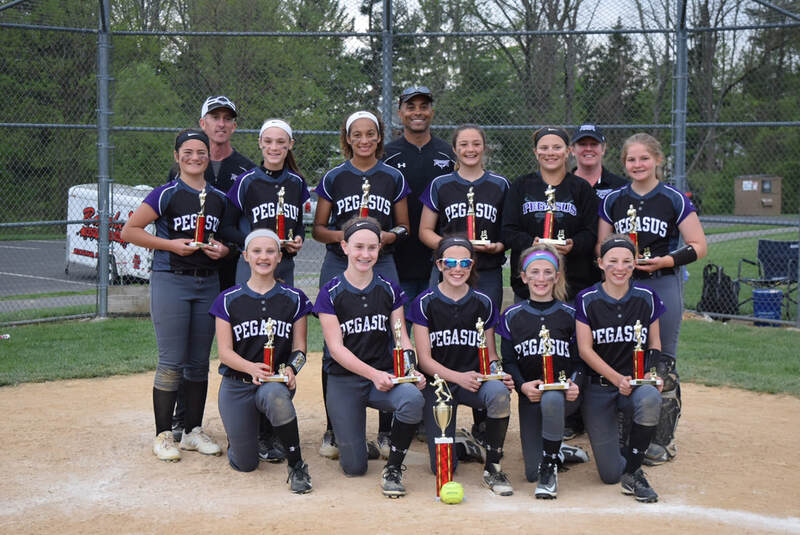 On the weekend of June 13th-14th in Bath, PA 12U Black finished as Champions of USSSA States. At Patriots Park in Allentown. The team was knocking at the door in the final. Had bases loaded when the last out was made. The final was 2 - 4. 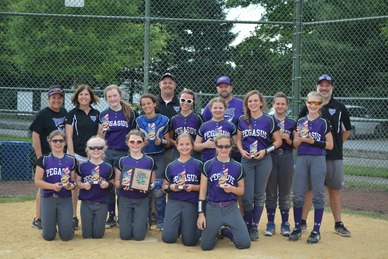 12U Purple are the USSSA Philly Spirit Father's Day Bash Champions! On 6/16 the team finished the day as the #1 seed. 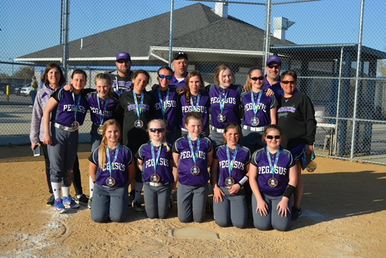 On 6/17 they made it the the final game and won a hard fought battle! 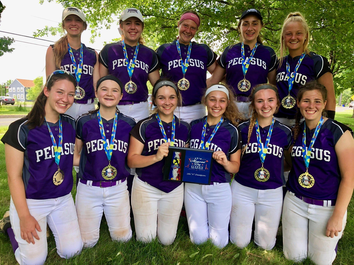 Congratulations to 12U Black who became Almost Summer Champions on June 2-3, 2018.
Pegasus 18U Purple finished in 1st Place at the USSSA Memorial Day Classic in Quakertown! The team finished with a 2-0-1 record in pool play. It was their first tournament of 2018! Congratulations to a great start to the season! 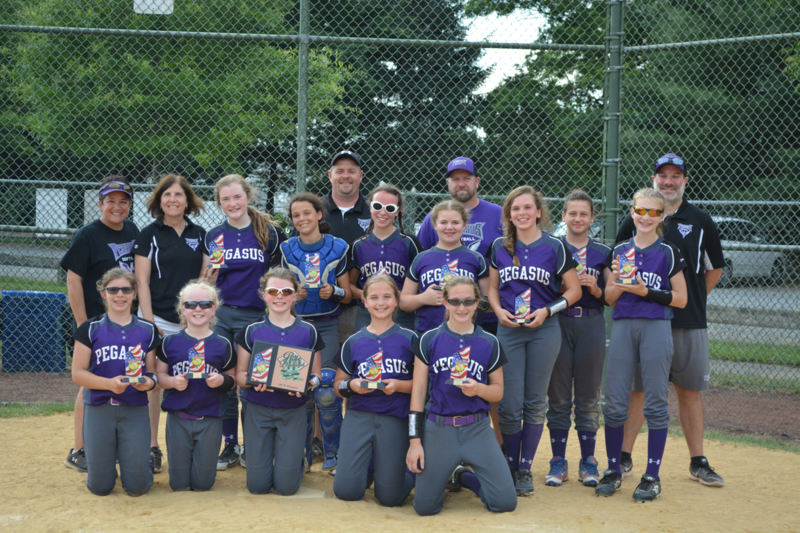 12U Black - Runner Up at ​12U Open Banshees Bash! 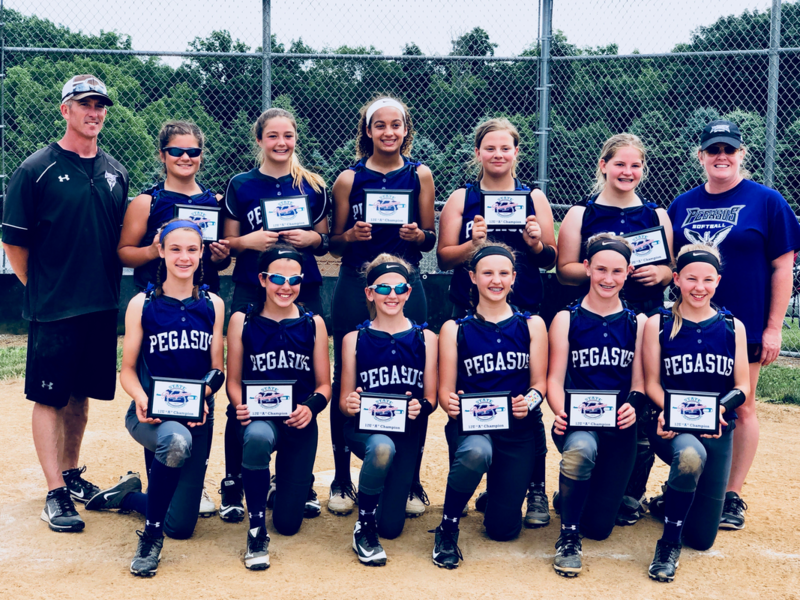 Congratulations to 12U Black Finalist at 12U Open Banshees Bash! May 5-6, 2018. 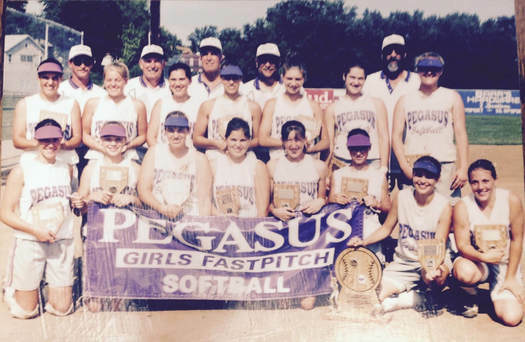 More than 30 years of great fastpitch softball!! See what it's like to play for Pegasus! Promo video provided by MIM Productions. Visit their site to learn how to create your own promotional and recruiting videos. Stay up to date. Follow us on Twitter!!! Instead of having an organizational party over the holidays we decided to raise funds and donate toys to the Andrew Hicks Foundation. The foundation supports the youth of Chester, Pa by identifying and fulfilling service opportunities with the involvement of Henderson High Schools students and the West Chester community. We encourage you to consider supporting this great organization. We received a wonderful thank you from the foundation for our contribution. Visit http://www.andrewlhicksjrfoundation.org to discover more about its mission. There are plenty of events and occasions where you can lend a hand or provide donations.